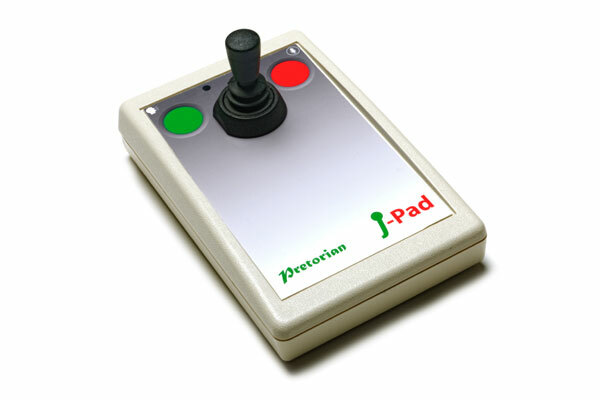 J-Pad is a unique, highly intuitive joystick interface providing ergonomic switch access to iOS Switch Control. 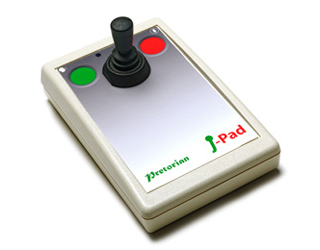 Instead of needing to remember what each switch does in a typical switch-based configuration, J-Pad’s user-interface makes it obvious. If the user needs to scan upwards, then move the stick upwards. Similarly, to scan to the right, move the stick to the right. To select, touch the green switch and to close an app, touch the red switch. J-Pad is not for everybody. It needs the user to have the motor skills to be able to operate a joystick and the cognitive skills to be able to use iOS Switch Control in the first place. When these two conditions hold true, the user can navigate more quickly and with less frustration. The red and green buttons are entirely touch sensitive using similar technology to a touch screen, so no pressure is required. Alternatively, external switches may be plugged in via the two 3.5mm sockets, in which case the touch sensitive switches are disabled, allowing the user to lean across them without fear of activation. Siri has become a very valuable aid to users with disabilities so J-Pad fully supports Siri access. 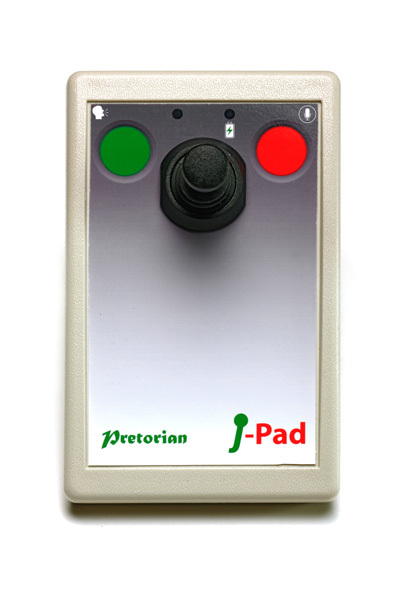 With switch adapted Apps, J-Pad is the iPad® access solution. Highly intuitive access device for iOS Switch Control scanning.